Comes from the Assam region in North Eastern India, where it is grown near sea level in very humid conditions and high temperature. The tea has a strong malty flavor and amber color. It is often used in creating blends like English Breakfast or Irish Breakfast. Collected in two flushes – First flush in late March, while the second flush is collected later and considered superior due to containing golden tips. This tea comes from India’s cool and wet Darjeeling region. Produced from harvests from 3 flushes – where the first is most sought after while the 3rd (aka. Autumnal) is of lesser quality. Its leaves yield in a thin-bodied, floral liquor of light color with a distinct muscatel flavor. 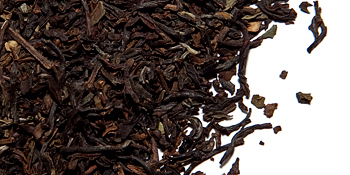 Although classified as black tea, Darjeeling undergoes an incomplete oxidation process (<90%) in most cases. Grown in the southern part of the Western Ghats mountains in Southern India, between 1000 -2500 meters above sea level. A lot of the tea undergoes the CTC process, resulting in dust for tea bags, but the full-leaf version is rather sought after and expensive. Nilgiri is a brisk and flavorful tea with an especially intense aroma and a dark-amber liquor. Produced in the city of Munnar, in Kerala state located in southern India. Also known as Himachal tea, grown in the city of Kangra in Northern India 3500 – 5500 meters above sea level. Its leaves have a reddish-brown color and the liquor has a floral character. Oolong tea from Taiwan is also known as (Imperial) Formosa Oolong. Thanks to the ideal growing conditions, Taiwan porduces some of the best oolongs in the world. Sweetness and floral notes is something that most of these oolong teas have in common, where as some have a more ‘baked’ aroma then others. Pouchong – (also known as Baozhong or Qing Cha) a light floral oolong that undergoes a low oxidation and withering process (8% – 18%). It is lightly rolled with leaves of long, slightly twisted shape and with the most green color of all oolong teas. It is often placed somewhere between green and oolong teas. It originated in Pinglin where it is still produced. There are three main varieties of Pouchong – Wenshan, Nangang and Lanyang. Dong Ding – (“Ice Peak” also known as Tung Ting) medium oxidized oolong tea (15% – 25%) that grows 600 to 1200 meters above sea level in Dong Ding Mountain. This tea is rolled slightly more then Pouchong, the leaves resemble a ball-shape. Its flavor has hints of honey and a long aftertaste resembling honeydew melon. 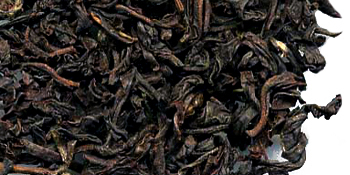 It is believed that the first plants of Dong Ding Oolong tea were taken from Wu Yi, China. Gao Shan – (High Mountain Tea) high mountain tea which is also medium oxidized with characteristic semi-ball shape. It grows at high altitudes of 1000 meters or more. This is more of a general term for high mountain tea variations like Alishan, Lishan, Wushe, Yushan and Meishan fall into this category, where Alishan is the top-priced one. They commonly have a sweet, nectar-like fragrance and a light taste. Da Yu Ling is a high mountain tea that comes mostly from plantations located between 2300 – 2600 meters above sea level, which are the one of the highest tea regions in the world. Tie Guan Yin – (“Iron Goddess”) this tea is heavily rolled into ball-shapes and can come in different roasting levels. The more roasted kind will have a strong baked aroma and a brown color, where as the lightly-roasted types and more green. It is mainly produced in China where the most famous An Xi Tie Guan Yin comes from, however the Taiwanese variation from Nantou uses a different variation of plant, but uses the same production technique. Dong Fang Mei Ren – (“Oriental Beauty” also known as Bai Hao Oolong or Peng Feng) one of the Champagne Formosa Oolongs, it has leaves reminiscent of autumn foliage or even fire, with its brown, red and yellow colors. It consists of mature leaves picked with its best grades picked during the summer. The leaves are heavily oxidized (50% – 70%) and undergo a heavy withering process. This tea has a sweet, smooth taste with baked, ripe-peach aroma. In order to accentuate it’s flavor it is customary to add a few drops of champagne. Origin of it’s name dates back to early 20th century when Queen Elizabeth II was presented with a sample was inspired to call it “Oriental Beauty”. Jin Xuan – (Milk Oolong, Silk Oolong) perhaps one of the more special oolongs, as it has a distinct milk/creamy aroma, which develops due to the growing climate and conditions. It is a completely natural aroma and it does not occur as a result of any artificial flavoring. This tea has a very sweet and creamy aroma and a light, smooth finish. The leaves are heavily curled and have a dark green appearance. Cui Yu – (Jade Oolong) semi-oxidized oolong tea, also referred to a ‘green oolong’ because of its green appearance. It has a floral character and tightly curled leaves. It gives of a sweet scent, very similar to Jasmine and is a great entry point to Taiwanese Oolong teas. Si Ji Chun – (Four Season Oolong) is also a High Mountain Tea, that was developed in the 1980s. It is semi-oxidized with ball-shaped leaves and a smooth, sweet, light flavor. Most of Si Ji Chun comes from low altitude plantations, which makes this tea both economic and widely available. The reason why it’s grown in low altitudes is because the flavor and quality of this tea remains the same regardless of how high the plants are grown. This is a guide to Chinese Green Teas. China produces various tea types, unlike Japan where we primarly find green teas. In this article I will focus on green teas only. Chinese green teas can be quite confusing, as you’ll find maybe different names and spelling variants. A good thing to know is that the full tea names often consist of their growing location name and the tea variation name, so if we take Xi Hu Long Jing for example – Xi Hu – is the name of the place the tea is grown and Long Jing is the tea variation. There is many Long Jing teas from different places and provinces like Qian Tang Long Jing or Shi Feng Long Jing. Let’s take up some of the more common Chinese Greens. Long Jing – “Dragon Well” aka. Lung Ching – often regarded as the Chinese national tea, a favorite of govenrment leaders, has flat shaped leaves of fresh yellow-green color, picking of the leaves is done by hand, the most famous and rare Dragon Well tea is Xi Hu Long Jing grown on a 168 square km area in West Lake region. There is much to say about this particular tea as it has an imperial history and a rigorous harvesting tradition. Dragonwell has seven grades Superior, Special and 1-5. Bi Luo Chun – “Green Spring Snail” – this tea can vary in appearance, sometimes the leaves are semi-curled, other times they are twisted and wavy with a lot of small white hairs. It comes from Dong TIng mountain in Jiangsu Province and is one of the most fameous Chinese teas. “Scary Fregrance” (Xia Sha Ren Xiang) was it’s first name, but it was later changed by Emperor Kangxi, because it didn’t give justice to its quality. The taste is floral, fruity and light. Chun Mee “Precious Eyebrows” – has a dusty, curved and curled appearance and a slightly smoky, plum aroma. The taste is full-bodied and refreshing. The rolled leaves are thick and broad. Originally produced in Jiangxi Province. Its name comes from the shape of the leaves, which is to resemble an eyebrow. Zhu Cha – “Gunpowder”- this tea is tightly rolled into small pellets (which resemble gunpowder pellets) and it has a distinctive smoky aroma comparable to tobacco. This form aloowes the tea to retain more flavor and aroma. The shine on the pellets indicates good quality and freshness. Gunpowder is produced in Zhejiang Province of China. Zhu Ye Qing – “Green Bamboo Leaf” – a tea from mount Emei in Sichuan Province, grown at an elevation of 1300 meters (4000 ft). The leaves look like bamboo leaves – they have a slightly flat and plump appearance and a dark emerald color. The liquor has nutty hints and a fresh taste. It’s a new tea, created by a monk in the early 1960s. Hou Kui “Monkey King” – tea of two leaves and a large bud covered with white hairs with a flat appearance and waffle-like pattern, best known as Tai Ping Hou Kui. It comes from Taiping County in Anhui Province. It is recoginzed as one of China’s famous teas and it also received the title of King of Tea in 2004. It has a sweet, complex taste, with less bitterness then other greens. Liu An Gua Pian – “Melon Seed” – from Liu An County in Anhui Province. This tea is produced using only the two top leaves without the bud, which makes is very unique. The leaves are appear uniform and have a deep green color. It dates back to the Tang Dynasty and has a sweet, floral flavor. Mao Feng – “Fur Peak” – one of the famous teas, harvested from Huang Shan Mountain in Anhui Province. It is listed 3rd after Long Jing and Bi Luo Chun as Chinas most celebrated teas. Consists of two leaves and a bud. The first crop is harvested around March. Song Zhen – “Pine Needle” – has leaves of a long and thin shape, and a silver-grey color, reminiscent of pine needles. This tea is harvested in early spring and consists mainly of tender buds. Qi Men Hong (Keemun) – “Red tea from Qi Men” a tea from Qimen County of Huangshan City, in Anhui province. Considered the elite of Chinese Red Teas. Appears in various grades for example Gongfu, Mao Feng, Hao Ya, Ji Hong. This tea has winey and fruity taste with hints of pine and plum and cheaper grades can be bitter. It was first produced in 1875 and was the first red tea that came from Anhui. It became popular in England as an ingredient of the English Breakfast blend. Dian Hong (Yunnan) – “South Cloud” is sometimes considered a gourmet tea, because higher grades contain ‘golden tips’ the fine tea buds. 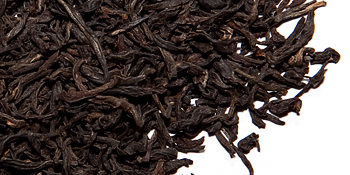 It comes in three grades Broken Yunnan – a cheap tea used for blending with fewest amount of buds, has a strong flavor. Yunnan Gold has a milder flavor, with some brassiness and a red liquor. Yunnan Pure Gold is considered the best of Dian Hong and consists only of golden tips covered with fine hairs, which are much lighter in color then the previous grades and produce a finer, sweeter liquor. Produced of course in Yunnan province. Lapsang Souchong – “Smoky Sub-variety” very different from other black teas, refered to as smoked tea because it’s leaves are smoke-dried over pinewood fires. Initially the leaves were dried over fire when tea damand was high, as it would speed up the drying process. It’s has a strong and smoky flavor and aroma characteristic to campfires or tobacco. This tea comes from the Wuyi region of Fujian province. Jin Hou – “Golden Monkey” from Fujian province. A celebrated tea of higher status, as consists of buds, but also has a specific appearace – tea leaves are part yellow part brown. According to a legend this tea would grow in inaccessible places, so monks trained monkeys to pick the leaves. The flavor of this tea is considered light, with honey notes and no astringency. Golden Monkey is the equivalent of Silver Needle among white teas. Ying De Hong – “Red tea from Ying De” a tea from Guangdong province, with a cocoa-like aroma. Its best grade is called Ying Hong NO.9. This tea was first introduced in 1959. The rolled leaves sometimes resemble oolong teas, as they have a clumpy, curled appearance. Ju Qiu Mei Hong – produced in Hang Zhou in Zhejiang province, is a rare gong fu tea created during the 50s, has tight, thin and long leaves. has a dark color and a deep, rich and sweet aroma. Ching Wo – a tea from Southern China, Fujian. It’s a deep, full-bodied tea with coppery infusion and light flavor and aroma. Oolong teas is categorized between black and green tea and often referred to as Blue teas in China. Oolong Teas undergo an oxidation process between 10 – 70% and they are more roasty and defined in flavor rather then delicate like green and white teas. Tie Guan Yin – “Iron Guan Yin” (Goddess of Mercy) a famous Chinese tea from An Xi in the Fujian province. It’s very close to green tea, as it undergoes little oxidation, but lacks the green tea astringency. The flavor and aroma also differs greatly depending of if the leaves have been lightly or heavily roasted. There are many varieties of which the nest ones are called Guan Yin Wang, meaning Guan Yin King. Da Hong Pao – “Big Red Robe” famous and legendary tea from Wu Yi Mountain, said to have cured the mother of a Ming Dynasty emperor from illness, who ordered the bushes from which the tea came to be clothed in red robes 0 thus the name Big Red Robe or Scarlet Robe. The brown-color leaves have a curled and twisted, non-uniform appearance. It has a rich and deep flavor with a floral note. Dan Cong – “Single Bush” as the name implies the tea is made of leaves from a single tree. The Dan Cong trees have a single trunk and they grow tall (about 1,8 meters) and straight up. This tea is sweet and peachy. Shui Jin Gui – “Golden Water Turtle” has a bright green color after steeping and is one of the famous Wu Yi Rock Oolong Teas. Bai Ji Guan – “White Cockscomb” a very light Wuji tea with yellowish leaves. The name came from a story about a rooster who gave up his life protecting his child from an eagle. Rou Gui – “Cinnamon” – tea with a sweet aroma reminiscent of cinnamon developed during Qing Dynasty. When processed in traditional ways the leaves of this tea have a dark brown color. This tea is also known as Cassia Bark Oolong tea. The yellow teas are processed like green teas, but have a longer withering phase. Making yellow tea is an art, unfortunatly many techniques of processing it have been lost, because it’s a complicated and tedious process. Jun Shan Yin Zhen – “Silver Needle” is a rare and famous tea from Jun Shan island – also called the king of yellow teas. This is the yellow variation of Silver Needle not to be confused with Bai Hao Yin Zhen. Picked only once a year – the day before Qing Ming festival. Huo Shan Huang Ya– imperial tribute tea that dates back to the Ming dynasty. In dry form it has a shiny appearance and the liquer – a peppery and fresh taste. It is harvested at Mt. Huo. and consists of mostly buds. Song Yang Ying Hou Cha -“Silver Monkey’s Paw” a rare, hihg quality tea from Zhejiang province produced in limited quantaties. The flavor is subtle, flowery and slightly nutty. It consists of carefully selected and hand-rolled tips. White tea is an unoxidised type of tea, that consists of youg leaves and buds. This type of tea is specific to the Fujian province in China (except for a few other variations like assam white, darjeeling white and ceylon white teas). Below are the five types of Chinese White tea. Bai Hao Yin Zhen “Silver Needle” – highest grade Chinese white tea. It consists only of buds that have long, needle-like shape, pale green and covered with small white hairs. Overall the tea has a uniform appearance, with no twigs or leaves. The liquor is very delicate and smooth with light and fresh fragrance, slightly sweet. Gong Mei “Tribute Eyebrow” – this tea is more processed then the two previous white teas and is also a lower grade (3rd grade tea). The leaves are this tea come from Xiao Bai trees – small withe tea trees. Consists of young leaves and no buds. It has a dark and full taste and is often served with Dim Sum. The name ‘eyebrow’ comes from the curved shape of leaves used. Shou Mei “Longevity Eyebrow” – along with Gong Mei is a lower grade tea, more oxidised the first two, picked after Yin Zhen and Pai Mu Tan. Consists of upper leaves and tips collected between April-June. The leaves are large and bold Flavor and appearance-wise is often compared to oolong teas. Fujian New Craft White Tea – a new white tea, its production process was developed in the 60s to increase overall white tea production. This process consists of three steps – withering, slight rolling and drying. The leaves have a long, curled appearance and a dark green/brownish color and the tea liquor was a weak fragrance, but strong taste. This tea is made of leaves less tender then the ones used in White Peony or Longevity Eyebrow.